Kristen Roy bought her first house when she was 21 years old. Since then, real estate buying and selling has been her passion. She owns 13 properties with her husband and doesn’t plan to stop buying any time soon. Roy is a broker with Landing Real Estate, which will open its Windham office soon. She will work out of that office, but said that her office has four wheels and she is always moving. Roy does not do commercial real estate, but works with all residential home buyers and sellers. “I’m a realtor because of all the buying and selling with other realtors that I’ve done. Some were positive experiences and some experiences I would never go through again,” Roy said. She is the full-time mom of two boys. Working around her children’s schedule doesn’t mean that she’s unavailable to her clients. “I’m obsessed with it. I love what I do. It’s a fun, natural high,” she explained. Roy loves working with her clients and she loves to interview them face to face, to find out what they like and don’t like in a home. She is a little different when it comes to a first meeting. She sets up a showing at a house the clients like. “It’s probably not the first house they’ll buy,” Roy said, but it gives her valuable feedback moving forward to the next home and the one following that. “I’m watching, learning who they are. I learn so much more watching them than on a one on one interaction at the office,” she said. Word of mouth and her son are her biggest marketing tools. Her son carries business cards in his backpack to set up playdates with his friends. He just hands over a card to have his friends’ parents call his parents. Roy said she has connected with many clients that way. “People go from trusting me with their children to then trusting me with their finances,” she said. Roy enjoys helping families relocate. “I listen to what they are looking for,” she said. Then she finds the house that meets their needs whether it’s a starter house, a larger home for a growing family or a retirement house on the water. “We were first time home buyers and [Roy] is both knowledgeably, patient and friendly…We spent a lot of time searching for houses on Zillow and she would quickly find out more information about them and set up showings... She had set away whole days for just us and we would drive around to the various houses for showings. She was always upbeat, and honest,” said one Zillow reviewer. 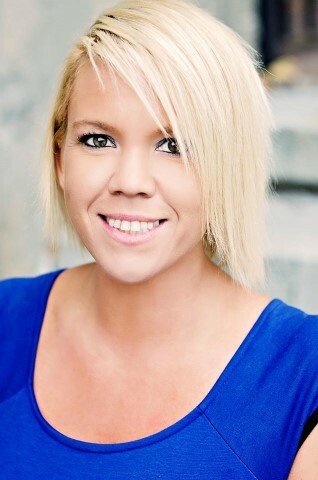 Roy is the number two realtor/broker in Raymond because of her involvement in the community and coaching sports. “I’m just me. I don’t hideout. I’m very honest and open. I love being a broker,” reports Roy. One of the perks of being a broker in Maine is seeing the state. Roy grew up in Bucksport and has clients in that area, in addition to working with clients in the greater Raymond area. She has a presence on www.Zillow.com and receives leads from potential clients from out-of-state. “She always made time in her schedule to fit our needs and is quite fluent with the lakes region. Buying or selling, she will have a repeat customer in us,” said another Zillow reviewer. Being a realtor is hard work, she explained. “I want it to be an easy, memorable experience.” Once she sells a home to a family especially in Raymond, she is always in their lives. “I’m your forever realtor,” she said. For more information, visit www.LandingHomesMaine.com, email Kristen@LandingHomesMaine.com or call or text 207-671-8149.